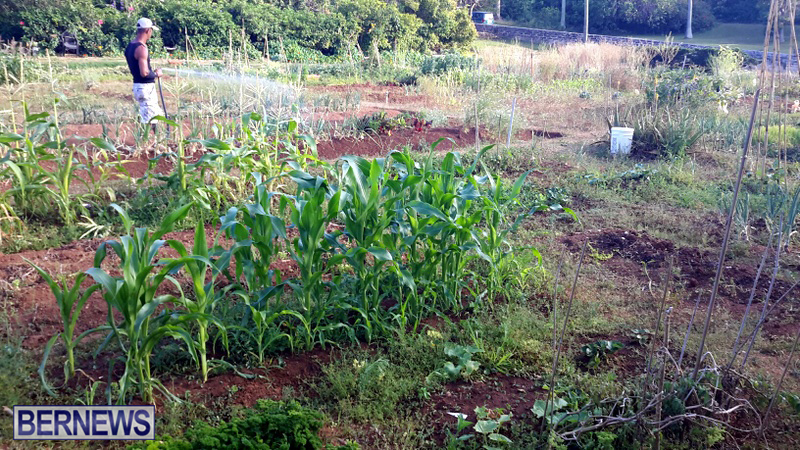 Kensley McDowall, a plot owner and retired lawyer from St. Kitts, describes himself as the “handy man” of Paget Community Garden, which he joined in 2000. 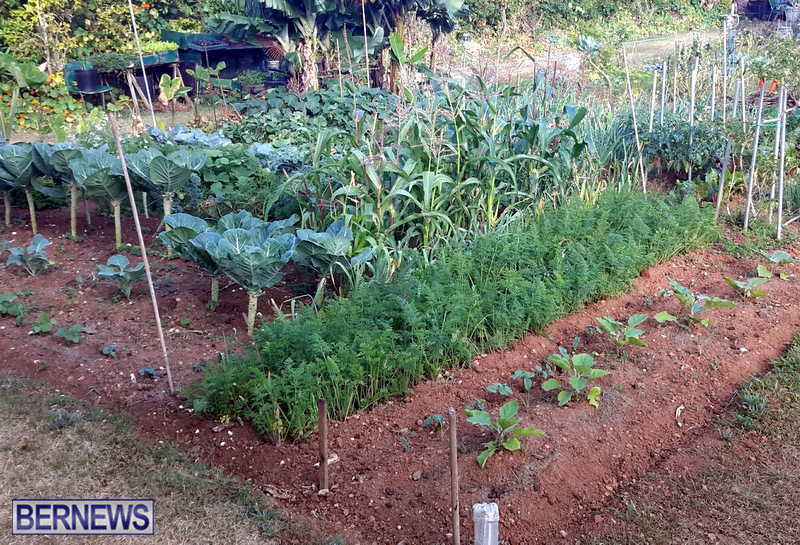 The land just off Trimingham Hill used to be a lily field and according to Mr. McDowall, “would have been covered in white” before Dr. Gloria Frederick, the founder of the garden, requested the use of the land for a community garden. Her husband, Rawle Frederick, now operates as the president. This concept has become so popular that Mr. Frederick keeps a wait-list in order to determine who can and cannot join. Mr. McDowall particularly appreciates the diverse nature of the community. 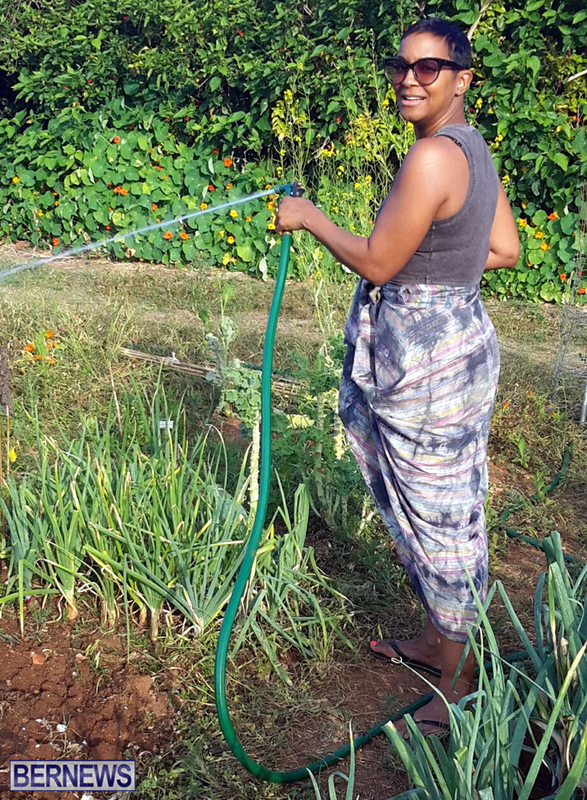 He says “the garden is made up of people from lots of different places – St. Vincent, the Grenadines, Sierra Leone, Tanzania and Kenya.” He says that this allows for “great conversations” full of different perspectives, ideologies and beliefs. 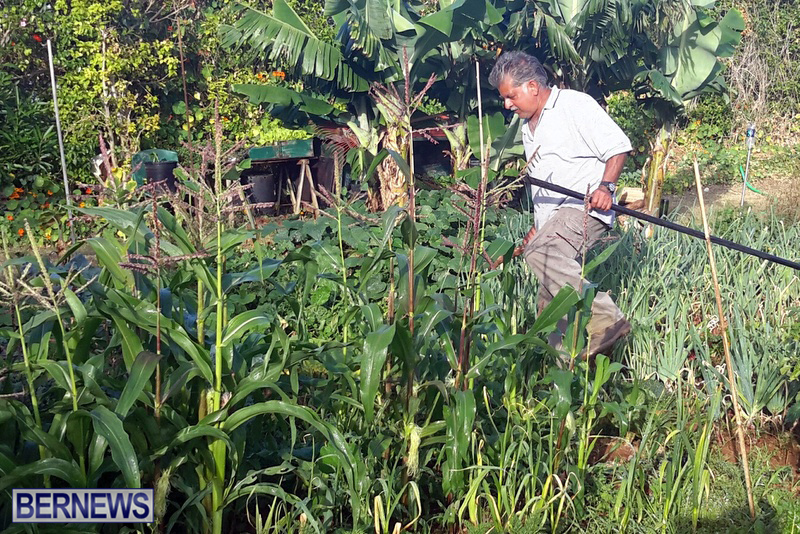 Mr. McDowall says that the camaraderie in the garden has grown over the years. 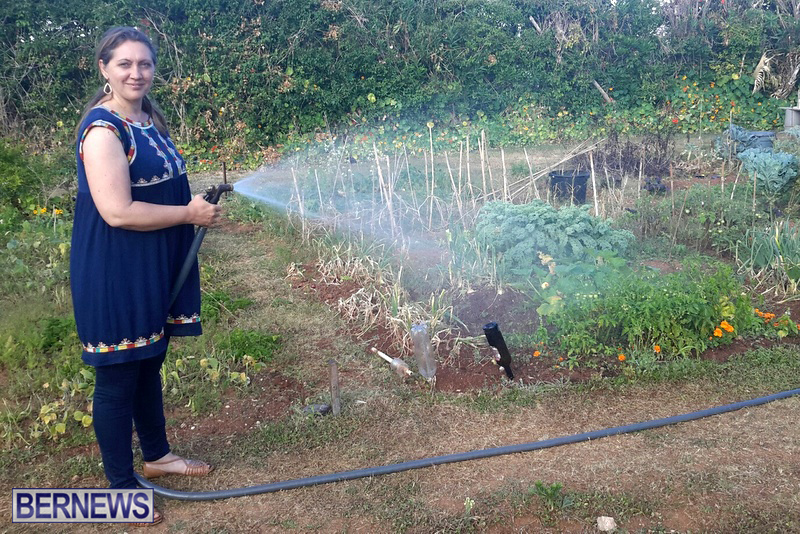 Recently, one of the gardeners and his then-fiancee decided to get married in the garden and naturally, the whole community pitched in to help with the preparation. The space is not without its own challenges. “From time to time we get night farmers,” Mr. McDowall explains. “Sometimes when you show up in the morning half of your onions are gone – especially around the holidays.” However, he adds that they have improved their security system to battle this, with security cameras and a rotation of people keeping watch. There is a CCTV camera overlooking the N roundabout. Might be a good thing to aim one at the garden to catch the night farmers. Can I get one for my garden too? ?